The eight members of the Aussie Million final table are set and poker pro Sorel Mizzi is dominating the field with an astounding 6 million chips! Consider that the next closest competitor, Tyrone Krost has only 1.8 million, it looks like this is Sorel’s tournament to win or lose. There is at least one speed bump in the road for the young poker superstar, which happens to be an even younger, and bigger, superstar; Annette Obrestad, or Annette15 to the online poker buffs out there. Obrestad is sitting on 1.3 million in chips, and will be looking for a double-up so she can cut into Mizzi’s monster chip-lead. 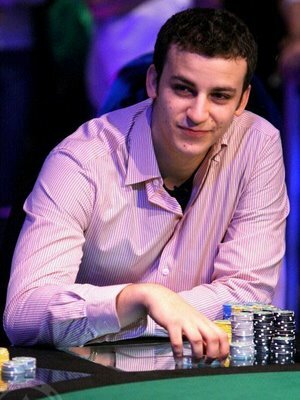 Obrestad, now 21, is best known as the teenage sensation that has dominated online poker and international poker tournaments over the last couple of years; including being the youngest WSOP champion ever when she captured the World Series of Poker Europe main event bracelet at the tender age of 18! The winner will not only capture one of the most prestigious titles in poker, but will also be walking away with the $2 million first-place prize-money. This entry was posted on Saturday, January 30th, 2010 at 8:42 am and is filed under Poker News. You can follow any responses to this entry through the RSS 2.0 feed. You can leave a response, or trackback from your own site.